No. 173 has the name 'HARRIS' just visible: this is John Harris, secondhand furniture dealer. No. 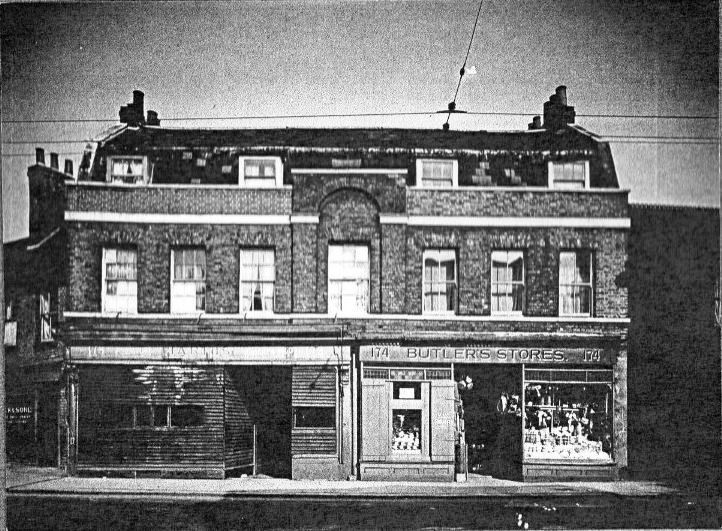 174 is 'BUTLER'S STORES', a Charles Butler, ironmonger, is recorded at this address in trade directories from 1913 onwards. Durham Wharf disappears to the left of 173, although the first two properties around the bend are actually numbered 171 and 172 High Street. To the right of no. 174 runs Ram Alley (later Percy Cottages).